One of a kind quilt I designed for our guilds fundraiser raffle. We will have a Holiday Festival in Sept 2011. We will be selling chances to raise money for our guild Stitching Memories. 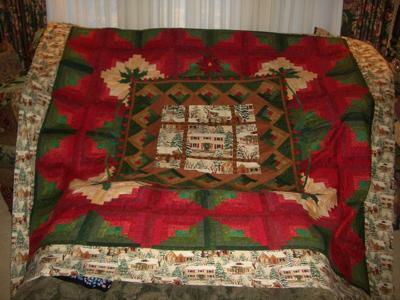 Another guild member volunteered to do the quilting. 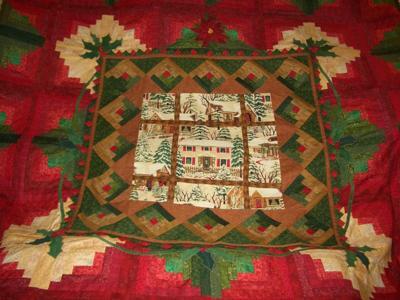 The Christmas Street fabric was my inspiration for the design. The applique is made of wool and blanket stitched by machine.